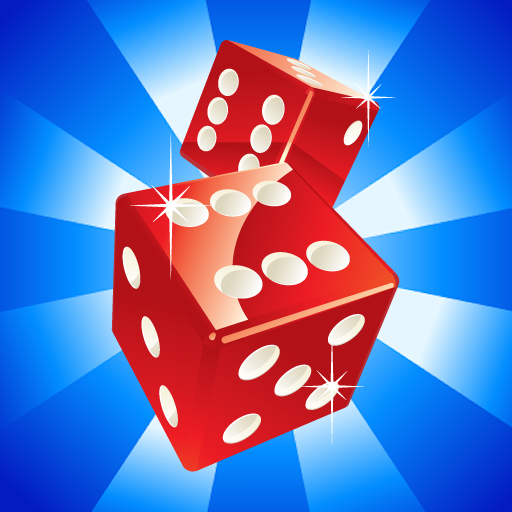 Farkle Deluxe is a new dice game for your iPhone or iPod Touch. Players take turns rolling six dice to get 1's, 5's, straights, or three of a kind. Players compete by choosing whether to bank their points or risk it by rolling again in this on the edge of your seat game. Score more points by risking it all, but careful! You could lose it all if you farkel. If you like Yahtzee™, Yacht, Craps, Poker Dice or Pig, you'll love Farkle Deluxe! Challenge your friends and family or go head to head with up to 3 clever computer players. 3D graphics, sound effects, and physics bring the dice rolling action to life. Customize your game by naming your human and computer players, choosing from 16 player images, and setting scoring variations and computer difficulty. -Statistics: keep track of your total wins and losses, current winning streak, and highest scores. Yahtzee™ is a registered trademark of Hasbro, Inc.
Take a chance and win big with Farkle Deluxe! Enlarged Dice. Implemented fix for 3.1.1 OS Update.